Many people dream of becoming homeowners, and mortgage rates, the qualification process and more seem to keep some home buyers on the side line. With current mortgage rates so low, this would be a great time to get out of your apartment and buy a home! There are several good reasons why you shouldn’t be a renter forever. And there are some excellent reasons why you should start looking at the possibility of being a homeowner. A little bit of “exploring the possibilities” just might show you that the dream of owning your own home isn’t as far away as you may think. SI Real Estate can help you come up with a game plan, so that you can stop throwing thousands of dollars away on rent, and start investing that same money in your future! If you’ve been renting or leasing a home over the past few years and are thinking about becoming a homeowner, the New York Times posted this in depth rent vs. buying calculator to help determine if it’s the right financial decision for you! This calculator can be based on the your individual conditions and includes real estate price, length of time you plan to live in your home, mortgage details, closing and maintenance costs, and even taxes. 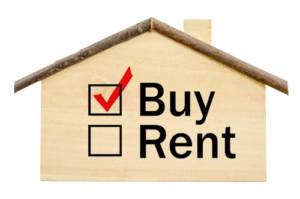 This calculator has been credited as one of the best rent versus buy tools available on the internet. Consider these factors and play around with the calculator to see if buying a home is in your near future and give us a call or email us when you are ready to get the process started in finding your dream home. Buying a home is a lot more affordable than you may think.